The construction industry has constantly evolved over the years in response to the rise in customer demand. 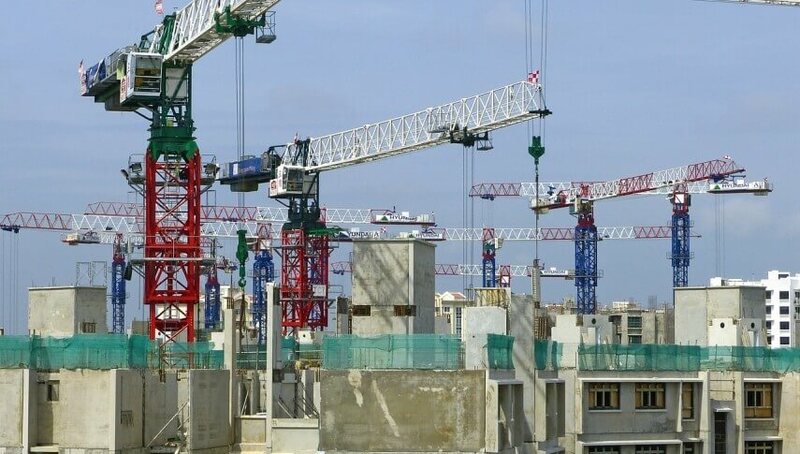 As a result of the increase in demand and the need to scale up and manage multiple construction projects, various construction companies have had to review their organisational structure and develop new management methodologies. The supply chain concept has evolved due to these compulsions. Construction companies adopted the integrated supply chain management system and have realised over time that this has resulted in improving their efficiency of managing the various construction projects. More specifically it has helped them to manage the project execution and closure in time. The role of supply chain in construction is to ensure better coordination by the company of activities at site, reduce lead time, wastage during projects and timely closure. The effective implementation of supply chain methodologies has also helped the construction companies to improve the efficiency of the overall building processes. The transition from the traditional management of construction companies to a more integrated supply chain management system has been fraught with challenges and difficulties. The analysis below captures the challenges and barriers in the implementation and what the construction companies need to do to overcome them to ensure effective implementation. At the outset supply chain for a construction project includes a large network of prime contractors, specialty subcontractors and material suppliers that work with engineers and architects to create a project for customers. Having recognized the benefits of an integrated supply chain management system, it will also be good to highlight the barriers and development challenges in the implementation of such a system. Studies have shown that organizations traditionally have found it difficult to adapt to this integrated system due to the conflicts and difficulties arising from the construct of organizations and traditional lines of authority. The barriers and challenges are analyzed in greater detail below. • Lack of Organizational set up and resistance to the concept is perceived as dilution of authority wanting myopic control to several related business processes. This results in continuation of a silo approach to the various construction project elements and continuation of some of the legacy management principles and processes. • Lack of trust inside and outside the company stems from the fact that new integrated supply chain management system is not adequately communicated and explained to the various stake holders along with the key benefits. More often than not, it is viewed by the employees and the middle management as a ‘change’ without reason and there is not enough Senior management support and sponsorship. Likewise, the traditional supplier relationship, which is expected to be converted to a relationship of alliance or partnership with risks and benefits, is not adequately explained to the suppliers/contractors and this creates an element of distrust. This is compounded by lack of guidance in the creation of effective alliances with supply chain partner results in lack of clarity to the various stake holders. • Failure of companies to develop measures for monitoring performances of alliances results in the inability to effectively monitor the quality of performance of alliance partners and bring about correction in individual cases. • Lack of integrated information systems and E commerce linking firms to the parent organization makes flow of information and decision making difficult. • Cost of Innovation and commercial risk: clients are sometimes unwilling to share the cost or pay a premium for sustainable construction innovation. Because of commercial risk, and a long history of conservative and adversarial relationship, suppliers do not always share certain commercial information and hence there are practical limits to transparency. Considering the benefits of an integrated supply chain management system along with the barriers and development challenges it is safe to conclude that the benefits far outweigh the challenges and barriers. In order to establish an efficient integrated supply chain, clients, suppliers, contractors and other parties in the supply chain need to establish long term partnerships, form transparent communication channels and benefit from each other‘s experience for the greater good. Studies have established some the key actions that need to be taken to allow for all the benefits of integrated supply chain management to accrue to the company. • Early involvement of all parties in the supply chain goes a long way to enable each stakeholder to understand the larger project objectives, timelines, risks etc. • Creation of better guidance in the enlistment of supply chain partners’ alliances and development of performance measures to monitor the performance of alliance partners also improves the quality of overall governance in this area. Studies have also established that in order to implement supply chain management, it is important to remove the barriers of traditional relationships within the construction industry and replace it with a ‘change management framework‘, at operational level. The barriers relating to integration are attributed to an adversarial contractual relationship, lack of trust and fragmented project delivery. b) Development of soft skills and communication skills of the project staff. Akintoye et al. (2000), identified integration barriers including: workplace culture, unsuitable support structure, uncommitted senior managers, trust issues and lack of familiarity to the concept of supply chain management and its implications. According to Barratt (2004), barriers include extensive use of IT for the implementation of integration and collaboration issues. From research I have gathered that the traditional management approach in the construction industry had many limitations. Integrated Supply Chain management as a concept has evolved to give an end to end view to the construction industry and at the same time give the management an overall opportunity to improve efficiency of construction projects and the effectiveness of internal management processes. In this article, I have tried to highlight the significant benefits of Supply Chain management along with the developmental challenges and barriers in companies for complete and effective supply chain management integration. Studies have suggested several recommendations to overcome these barriers and challenges to ensure proper implementation of supply chain management and realize the potential benefits. Ahmed Mahmood, S., et al.(2002). “Supply Chain Management in Construction – Scope, Benefits and Barriers”. 3 (1):1-6. Akintoye A., et al.(2000). “A Survey of Supply Chain Collaboration and Management in the UK construction industry”, European Journal of Purchasing & Supply Management, 6: 159-168. Barratt,M.(2004). ‘Understanding the meaning of Collaboration in the Supply Chain’ Retrieved from https://www.researchgate.net, accessed 18/03/2018. Griffith,A. and Watson,P. (2004). “Construction Management: Principles and Practice”. Palgrave MacMillan Publications. Ng Shi Yun. (2017). “5 Key Criteria for Supplier Evaluation in the Construction Sector”. Retrieved from SIPMM: https://sipmm.edu.sg/5-key-criteria-supplier-evaluation-construction-sector, accessed on 15/03/2018. Vrijhoef,R. and Koeskela,L. (1999).“Roles of Supply Chain Management in Construction”. Retrieved from http://www.academia.edu, accessed 15/03/2018. About the Author: Shivakumar Sundar has work experiences in the Financial Services industry and has currently loved into the logistics and supply chain Sector. He holds a Bachelor of Business Administration Degree from the University of Nevada, Reno (United States). He is a member of the Singapore Institute of Purchasing and Materials Management (SIPMM). Shiva completed the course on Diploma in Logisticsand Supply Management (DLSM) in March 2018 at SIPMM Academy.